I want to ride my bike café, bar and workshop in Cardiff has been named the best for cyclists in all of Wales by the national cycling charity, Cycling UK. I want to ride my bike won the Wales category of Cycling UK’s Cyclist Café of the Year awards, which were announced on Saturday. There were four other winners, for Scotland, England and Northern Ireland as well as a Lifetime Achievement award. I want to ride my bike opened in July 2017 and has quickly established its place at the heart of the Cardiff cycling community. Owner Jonathan Wright was inspired to open a café and bar where you could come and watch the Tour de France and meet other cycling enthusiasts. The staff serve local craft beer and have big screens to watch races on, and pride themselves on serving generous portions of cake. Jonathan said: “We are not a destination café in the countryside, but a city centre café that is popular with students from the university, local campaigning groups, those who work at the Welsh Assembly or visit the National Museum across the road. 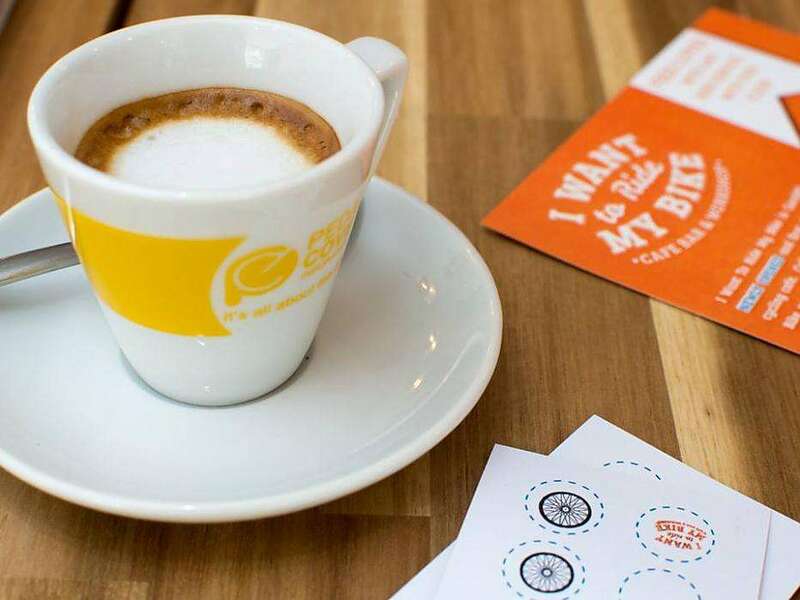 Hundreds of cafes across the UK received online nominations for the Cyclist Café of the Year awards, with shortlists going to a panel of experts. Matt Mallinder, Membership Director Cycling UK said: “Cyclists depend on great cafes as a place to reenergise with cakes and hot drinks and meet up with others during a day out. These awards say thank you to those cafes who go the extra mile to provide tired cyclists with a friendly face, tasty food and comfy place to take a break.